On Human Rights Day, 10 December 2010, the Human Rights Commission announced the winners of the 2010 Human Rights Medals & Awards at a special event in Sydney. The Trial was one of five programs shortlisted for the Television Award. 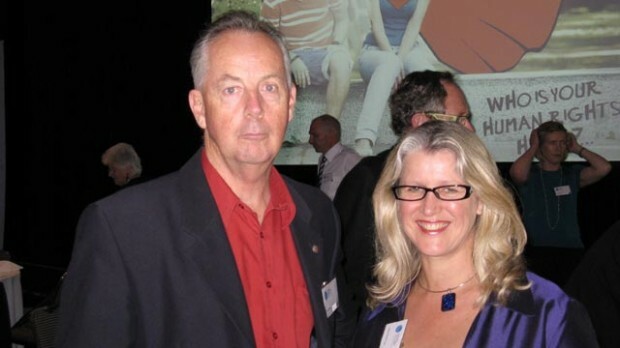 Producer John Moore and director Joan Robinson (pictured) were pleased to attend the Sydney ceremony. It was a great honour to have The Trial shortlisted and recognised at such a prestigious event. It was an additional honour to have excerpts of the film screened to a room full of inspirational people.